Here's how to solve the problem that I ran into. It turns out that there are a few more things you need to do after checking the Intel architecture checkbox for your target. 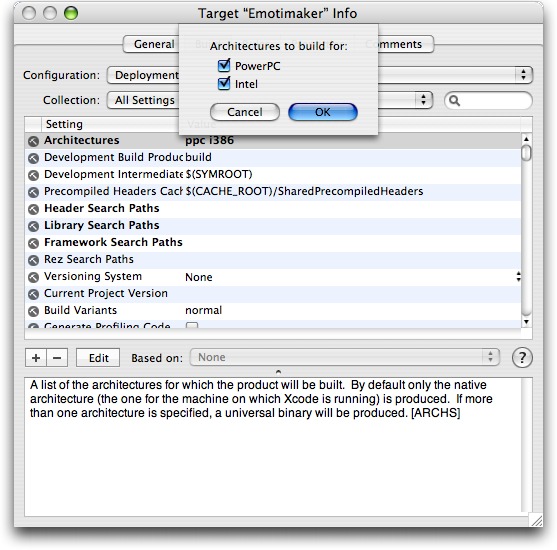 You also need to change the SDK you use to be the Mac OS X 10.4 Universal SDK, and you need to check the box for the Intel architecture for the Project itself. 1. Open your Project. Make sure you're in Project view. 2. Select the desired target in the Groups & Files source column. 3. Open the Inspector window. 4. Click the Build tab. 6. Select "All Settings" in the Collection popup menu. 7. Select the Architectures setting (it should be at the very top). 8. Click the Edit button. 9. Make sure both "PowerPC" and "Intel" are selected, and press OK.
10. Close the Inspector window. 11. First, if you have more than one target, repeat steps 2 through 10 for each of them. 13. Repeat steps 3 through 9 (don't close the Inspector window). 14. While your looking at the Inspector window for the project file, click the General tab. 15. 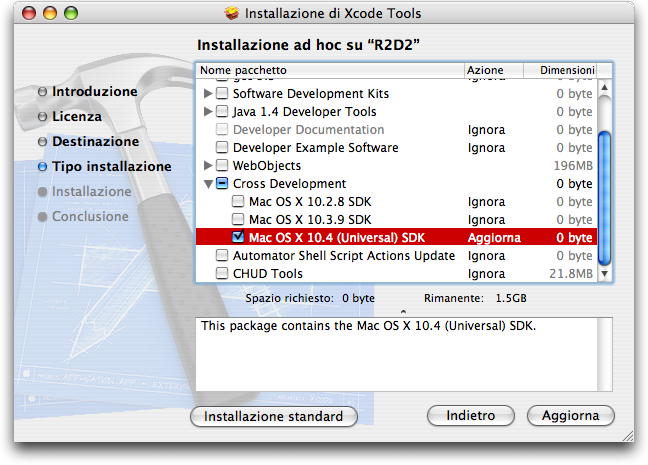 In the Cross-Develop Using Target SDK pop-up menu, select "Mac OS X 10.4 (Universal)". If you don't see this option, you'll need to install the 10.4 SDK. To do this, open the XCode 2.1 installer again, and do a custom installation. Uncheck everything. 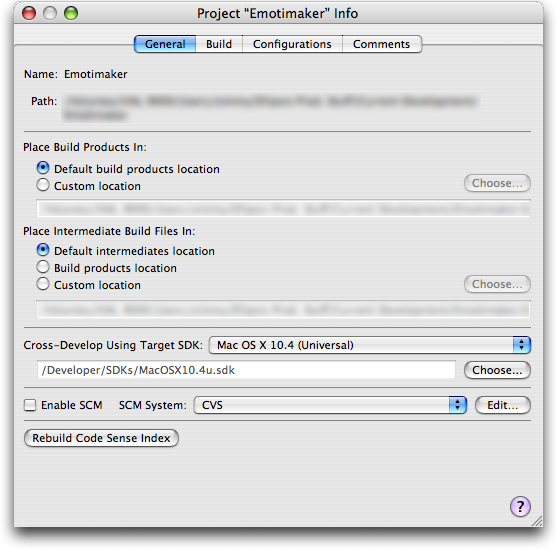 Reveal the "Cross Development" section, and check the "Mac OS X 10.4 (Universal) SDK" box. Install that, and then go back to step 14. 16. Close the Inspector window.